Yeah, but: Nothing that includes a biner clip can be all bad. The Long Version: Michael Tapes has been making interesting photographic accessories out of plastic for some time now, and if I'm not mistaken the WhiBal white balance reference is on its seventh generation. That's an awful lot of iterations for such a simple little thing. I have a certain fetish for white balance references. I love my Colorchecker Passport, and have the full-size chart as well; the Lastolite Ezybalance is my longest-serving photographic accessory, outlasting every camera I've owned except for my Olympus E-1. But I felt the need to add something much more portable to my collection, so I picked up the keychain size of WhiBal in my most recent order from a large New York photography store whose name invariably translates into some awkward HTML. Choosing a white balance reference is about trust. The WhiBal has been around forever, and has developed a reputation (and web presence) that gives it a certain authority. There are many cheaper plastic cards out there, but without being able to compare them to a known colour reference, how can I trust them? Generic might be fine for medications, but for colour accuracy I'm sticking with the name brands. The Keychain WhiBal is really small. 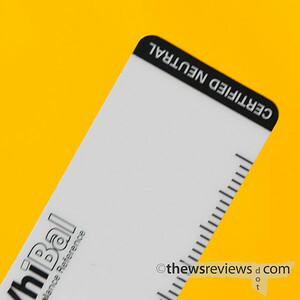 Measuring just 56mm by 26mm, it includes a petite Nite-Ize "S"- biner clip and has scale markings to create the world's most awkward ruler. While I suppose I could put it on my keychain, it usually lives on the Crumpler Grub sleeve that I store my Canon S100 in. That way I always have it with me when I'm taking photos, and most importantly, makes it much harder to lose the tiny little thing. I suppose it's a little ridiculous to knowingly spend $18.95US on less than fifteen square centimetres of plastic and then be disappointed by the result, but I have to say that I really wish that the WhiBal was double-sided. 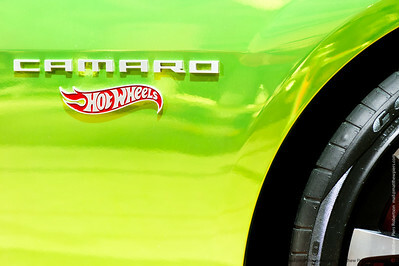 Instead it has one side that's devoted to colour accuracy, and the reverse is entirely consumed by marketing and branding. That seems excessive. Now I need to watch which way the teeny card is facing when I include it in a scene, diverting my limited attention to manage what should be a trivial task. And no, the reverse side with all of the advertising doesn't give accurate white balance results. True, none of my other white references are double sided, but they're also not petite and symmetrical. I've had to add a bit of tape to the reverse side of the WhiBal so that I can feel the difference and know which side needs to face the camera. The strength of their smallest card is that it's very easy to carry and stick into the scene as needed, but prior to this little modification I had needed to take my eye away from the camera, or literally refocus, to be able to use it. 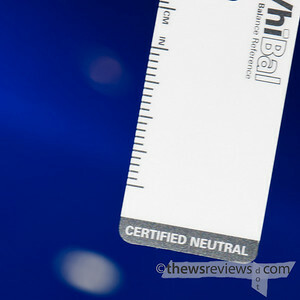 The Keychain size WhiBal can only be used by taking a photo that includes it and then sampling it as a colour reference in post-production. It's far too small to set a custom white balance in-camera, as it won't fill the required area of the frame while still being in the same light as the rest of the scene. But with a raw workflow it's simpler and faster to fix the images in post than it is to change the invariably convoluted camera settings; those who need straight-from-camera jpegs will need to look elsewhere for a much larger white reference. One thing to watch for is the camera's exposure. I like to keep my photos bright and pull the darks back down in post, and the light grey of the WhiBal is easy to clip against a dark subject. 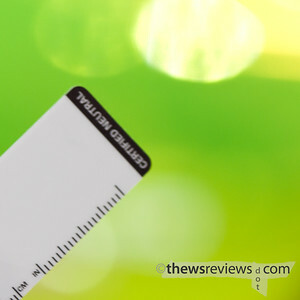 Bigger cards that occupy more of the frame aren't as susceptible to this, but the small card just doesn't have much of an impact on the camera's meter. 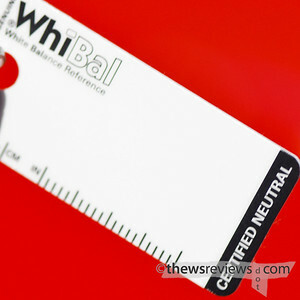 As useful as it is – and it really is quite useful – the keychain WhiBal isn't perfect. I accept that it's a trustworthy and calibrated neutral, or rather that half of it is, but it's inelegant. Although perhaps I limit my thinking too much by simply wishing that it was double-sided, even though that would be a huge improvement. Michael Tapes has proven himself to be an innovator. So how about giving us something better than a basic card? There's already a white balance cube on the market, but it's a complicated device and could be simplified. Memory card cases, cleaning cloths, lens caps: there are plenty of other items that photographers carry that could incorporate a calibrated grey into their design. I'd buy a nice pen that I could use as a white balance reference in a heartbeat. We're now into the second decade of mainstream digital photography – this stuff should be easier by now. Yep, another gizmo you've tricked me into buying. Well, at least this time I know I haven't over-sold it.